How to adjust your member profile privacy settings. Each member has the ability to log into their member profile and update their privacy preferences at any time. 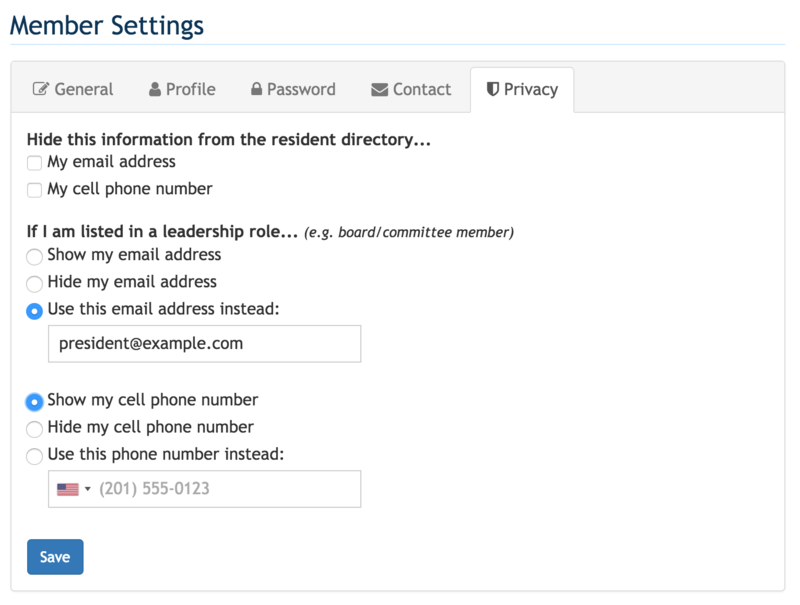 These settings control what contact information of theirs is displayed to other members and visitors on your website. The member profile privacy settings will determine what information is displayed for that individual member and not for everyone included on the account. If a member would like to update their account's privacy settings, they'll want to check out the following article: Update your account privacy preferences. First, log into your community website and click on your name in the top right-hand corner. From the drop-down menu, select "Member settings."